The Awards give the students an opportunity to nominate lecturers, tutors and professional support staff from each Faculty. 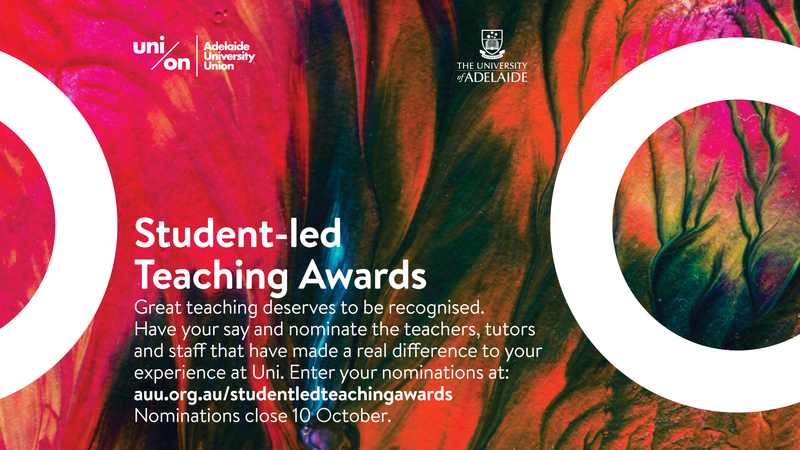 Nominate online before Monday 10 October. This entry was posted in News and tagged Anthropology & Development Studies, Art History, Asian Studies, Classics Archaeology & Ancient History, English & Creative Writing, Environment & Population, French Studies, Gender Studies & Social Analysis, Geography, German Studies, History, Linguistics, Media, Philosophy, Politics & International Studies, Spanish Studies. Bookmark the permalink.